Dark Parables: Return of the Salt Princess is rated 3.7 out of 5 by 20. Rated 5 out of 5 by pedroG4mac from Well done adventure tale As the final chapters were solved, the search for answers and solutions intensifies. I don't like to rely on hints, but the guide was essential when I was confounded. The map is more of a chart, because I was unable to jump within scenes. By exploring each new scene, their creative genius is more apparent. As with life, this is a rewarding adventure, with lots of unknowns, some clear choices, and some that are not so obvious. Well done, to all the talent that collaborated on this project. Rated 5 out of 5 by LikeAGoodStory from Truly a 5 Star Game This is my first Dark Parables game and I am delighted it is a series! The storyline is superb, detailed but not boring, and as the title of the series indicates, not your usual parable. As others have commented, the FROGS are a delight, and I would love to see more of these. 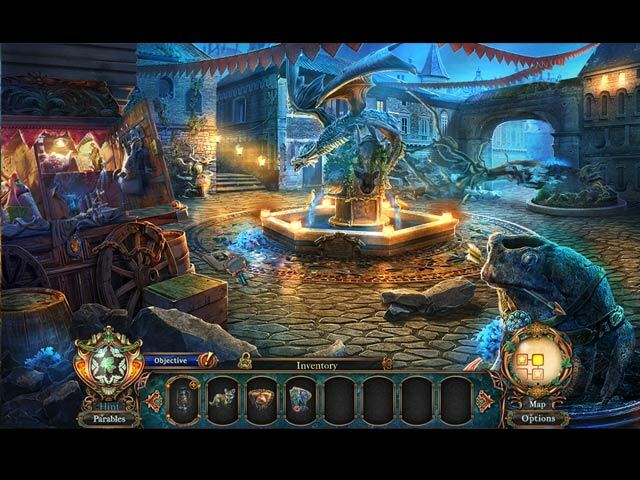 My preference is adventure vs hidden object but to me, FROGS fit the storyline more than the usual HOPS. The graphics are exceptional. Scene after scene, I was struck by the detail and most often, I just stayed in a scene to admire it, searching out more than what I needed for the story. And the music that accompanies the beauty of this game is just as intricate. Indeed, a pleasure to listen to all on its own. My reviews are based upon completed play of the game; as always, try the demo first. Rated 5 out of 5 by yahsmouse from SWEET I really like this game from beginning to end..I do like all the Dark Parables! Rated 5 out of 5 by flutterby2006 from Architecturally good Hidden Object Game I just love the fairy tale atmosphere and the graphics are so enjoyable to look at. I also enjoy the hidden object sections where you have to find the missing parts instead of searching for a named object. I always enjoy the Princesses adventures. Rated 5 out of 5 by AdrianaIP from The Dark Parables we love is back After a few disappointing entries we finally got the real Dark Parables back. Good storyline, with references to earlier games, good pace. good visuals, nice FROGS. Everything we used to love and which somehow seemed lost is here. Rated 5 out of 5 by BrasheddLing from Love this game This game reminds me of The Exiled Prince and The Curse of Briar Rose. Not just referencing the characters in those two but having elements of them that I absolutely loved. Return of the Salt Princess has beautiful graphics. Interesting puzzles. I love hidden and morphing objects and Salt Princes has HOS more like the two games I already mentioned. Kudos to the creators for giving us such a beautiful and enjoyable game. Please keep them coming! Rated 4 out of 5 by skullfun from Return of the Salt Princess is a triumphant return to the HOPA scene for Blue Tea Games! First of all, I think it's only fitting to extend a warm welcome back to Blue Tea Games, who apparently led the production of this Dark Parables sequel. While I have long believed that Blue Tea has always been an advisor to Eipix in the development of most Dark Parables games, this is the first time that this Hong Kong-based studio has been majorly involved in a HOPA project since Dark Parables: Ballad of Rapunzel! It seems like this four-year absence did little damage to the studio’s talents, as Return of the Salt Princess successfully brought back the “Blue Tea magic” that was the core of many of the studio’s past works. 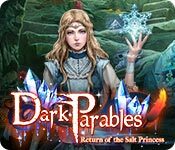 Dark Parables: Return of the Salt Princess tells a compelling story about a princess who struggles with her own special powers, serving as a continuation to the excellent second game in this iconic franchise, The Exiled Prince. The storyline in this sequel is told through various storytelling devices, mainly notes, dialogues, and mini-games. I also adore all the clues and “Easter Eggs” that are scattered through the game, as they are as much an essential part to a Blue Tea’s game as the intricate visuals. Speaking of the visuals, Dark Parables: Return of the Salt Princess is just as charming and as magical as one would expect a Dark Parables game to be. The level of detail in the graphics is definitely astounding, coupled that with some imaginative scene designs and a sophisticated color palette, the game immerses the player into its world from start to finish. If there is one draw back, it would be the comic book-style depictions of the characters, which in my opinion, takes a little away from that immersive experience. Dark Parables: Return of the Salt Princess did not make any bold choices when it comes to the gameplay. 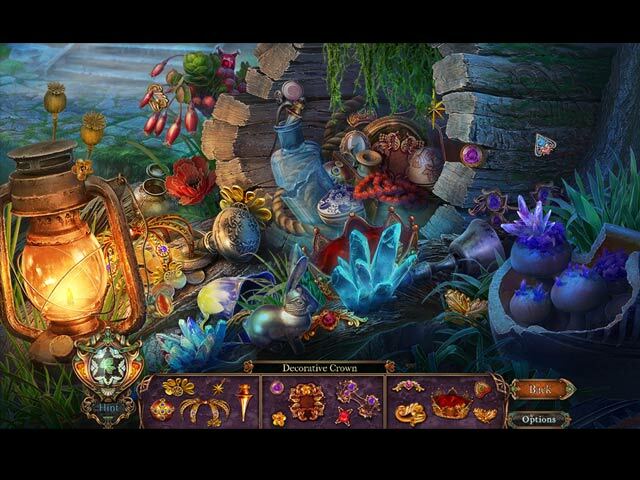 There are certainly more hidden object scenes (in this case, they are all fragmented object scenes) than what I have seen in the genre as of recent. The puzzles are few and far between and the concepts are not that exciting, but they are neatly-executed and provide some much-needed challenge. Despite how much fun I had with the game, I feel obligated to point out that the game lacks two major features; a custom difficulty setting and an interactive map that allows you to transport to any specific location. 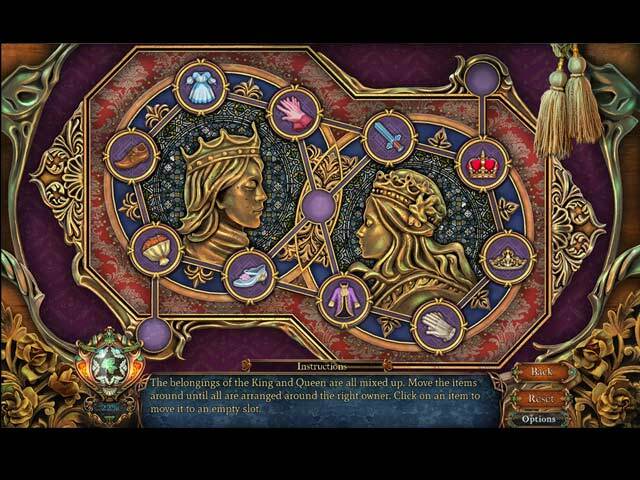 I was glad to discover that Dark Parables: Return of the Salt Princess is quite a long HOPA game. I have been a fan of Dark Parables since the first edition, Curse of Briar Rose which was released in 2010 so I chose the CE version which I recommend to casual players of every level. The main game took me nearly five hours to complete (perhaps, due to the lack of a jump-map). The bonus chapter titled Moonlight Romance, took another 65 minutes. The Collector’s Edition is fairly comprehensive with its bonus section; a strategy guide, wallpapers, concept art, soundtracks, movies, replayable puzzles, achievements, collectible parables, and morphing objects. Cheers!